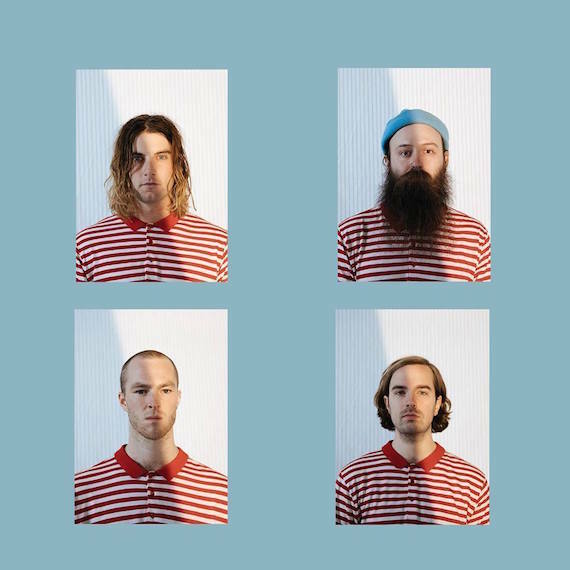 Judah & The Lion returns to Nashville this weekend for their first headlining shows at the Ryman Auditorium on Friday (Sept. 8) and Saturday (Sept. 9). In March, the band released the deluxe edition of their Dave Cobb-produced, indie label album Folk Hop ‘N’ Roll, which includes four new tracks and an acoustic take on “Take It All Back.” The album is at No. 21 on the Americana/Folk Albums chart, and at No. 6 on the Alternative New Artist Albums chart. MusicRow spoke with Judah & The Lion drummer Spencer Cross about the upcoming Ryman Auditorium shows and the band’s hard-earned road to success. Congratulations on your upcoming headlining gigs at the Ryman. Cross: It’s exciting. We’ve opened there a couple of times but this is our first time headlining. The fact that we get to play it twice is a dream come true. What was the first show you remember seeing at the Ryman Auditorium? Actually the first time I ever went there was when we opened for Mat Kearney. It’s a surreal experience walking in, and it just feels different than any other venue I’ve ever been to. There’s just a reverence and you can feel it in the air. It’s a special place. Concerts in Nashville are known for having surprise elements. Do you have special plans for your upcoming Nashville shows? Definitely. Not to give too many things away, but we want to do some different arrangements and have some special things up our sleeves. Your two albums have both been released on indie labels. What has been your strategy for building your fanbase so far? We’ve just been road warriors. We toured in a van and trailer for three or four years straight and just this past couple of months, when we went on tour with Incubus, we did our first tour in a bus. So just grinding it out on the road. And that’s really how we’ve built our fanbase, going to places over and over. In the beginning it was putting our music up for free online and trying to spread the word. At the beginning that provided a fanbase and we started going from there. We just always had that indie underdog thing spirit about us. We met at Belmont in late 2011. Judah played baseball at Belmont and had been writing songs. He wanted to hear them with some different instruments. He had been playing them with other people and it hadn’t been working so he knew Nate played banjo and asked him to come along and Nate knew Bryan who played mandolin. The three of them, that was the first time they played together. For their first shows at Belmont, one of student showcases, they needed a drummer and that’s when they asked me to join. Belmont was a great platform; people are so supportive. Obviously it’s Nashville and it’s a music-based school, but people are so supportive of artists that come out of there. It was a great family to grow up in. Another Belmont band, The Lonely Biscuits, are opening for one of your Ryman shows; did you know them during your time at Belmont? We did know them. I think they came in when [fellow Judah & The Lion member] Brian [MacDonald] and I came to Belmont. They were the same year. I think they formed right off the bat. They are some of our favorite people and great musicians. They opened for us last fall for several shows so we are excited to have them out to the Ryman ones. How did “Take It All Back” come about? You guys recorded Folk Hop ‘N Roll in two weeks with producer Dave Cobb. Dave has a great approach to music and he has a very raw approach and he’s all about grabbing that natural sound and not over-thinking it. He lets the music speak for itself. He’s known mostly for country and Americana stuff, but he has an incredible range of knowledge on music and hip-hop and soul and everything. He had a lot of ideas and opinions that helped us get out of it what we wanted to. He works fast too. It’s very off the cuff and hopefully you get a taste of the live feel of the music. We are always thinking about the live show.